Will the LG LH95 take the skinny telly crown in Las Vegas? 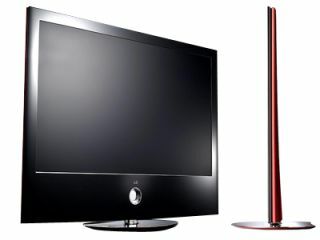 LG Electronics is set to unveil the world's slimmest LED LCD TV at CES in Las Vegas next week. The LG LH95 is set to go up against offerings from Sony and Samsung – both of whom were claiming the thinnest TV crown at IFA in Berlin earlier this year. So exactly how thin is the LG LH95? It is an impressive 24.8mm thin (or just under an inch, for the fans of imperial measurements). The LG LH95 also supports 240Hz TrueMotion Drive technology and 2,000,000:1 contrast ratio.